Most people spend about 30 minutes to an hour at the course. 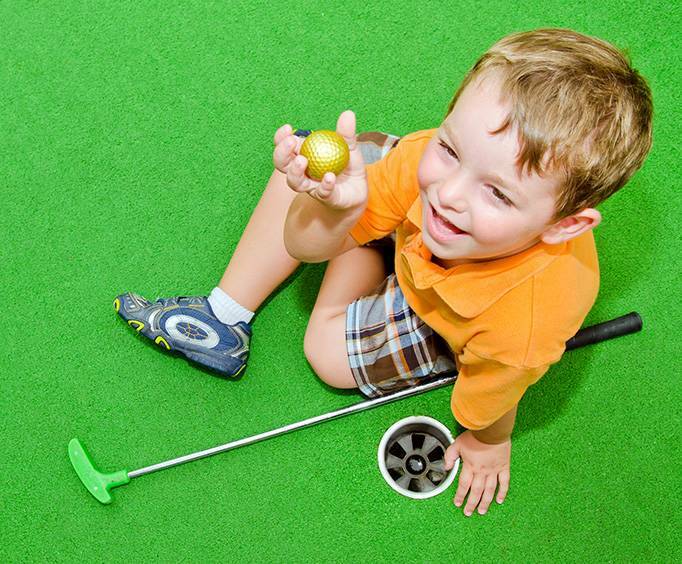 Included in the price is admission to play one round on the 18-hole course. Back To The 50's Mini Golf is no longer available. 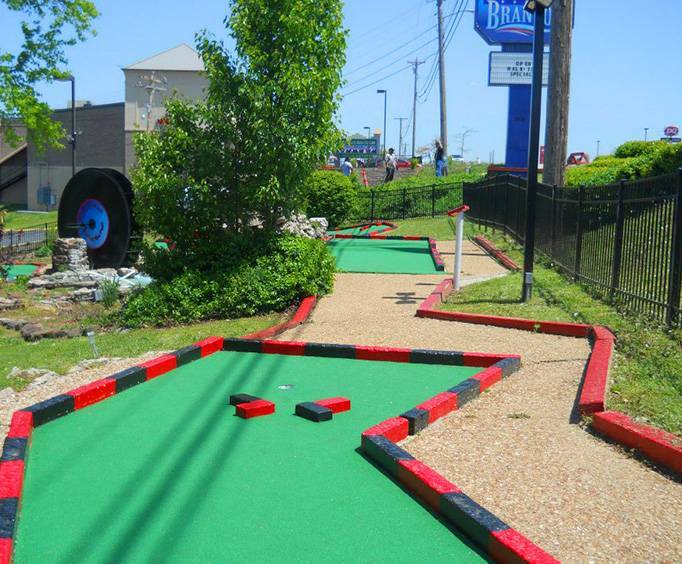 Throw yourself back in time to days of milkshakes and soda parlors with this quaint mini-golf course! Perfect for the whole family, this course contains 18 holes and a wonderful 50's theme that will make you feel as though you've truly been transported to another time. Walking up to the admission booth is even an exciting experience, with the booth being a giant jukebox, you'll get a real kick out of it. As you make your way through the course, keep your eyes peeled to check out some of the interesting decor, such as oversized vinyl records, statues of Elvis and Marilyn Monroe, among many other unique pieces. 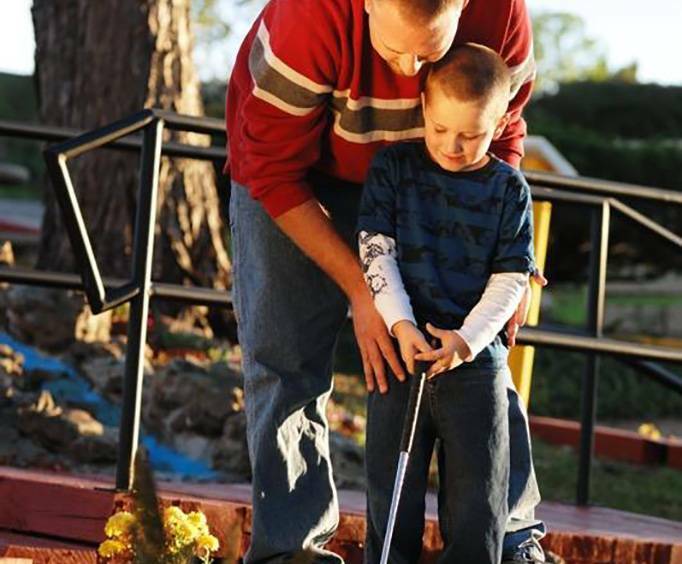 This is the perfect mini-golf course for the family, having a nicely sized course that isn't too complicated, which makes it great for even the youngest members. Not only is this course fun and exciting, but it's also one of the best deals on the type of attraction that Branson has to offer. As you play each hole, you will be delighted to know that even the music played through the loudspeakers is cheerful, upbeat tunes from the 50's making it more fun authentic feeling. Come out and enjoy the 50's throwback with this splendid course. Book your reservations today!